Wolf-Garten Premium+ Anvil Secateurs designed with non-stick coated anvil blades, suitable for precise and clean cutting of 25mm thick dead-wood or plant stems. Safe handling is guaranteed by the ergonomic two-component handle with soft insert on the top and the easy-on-the-wrist 30 degrees cutting angle. 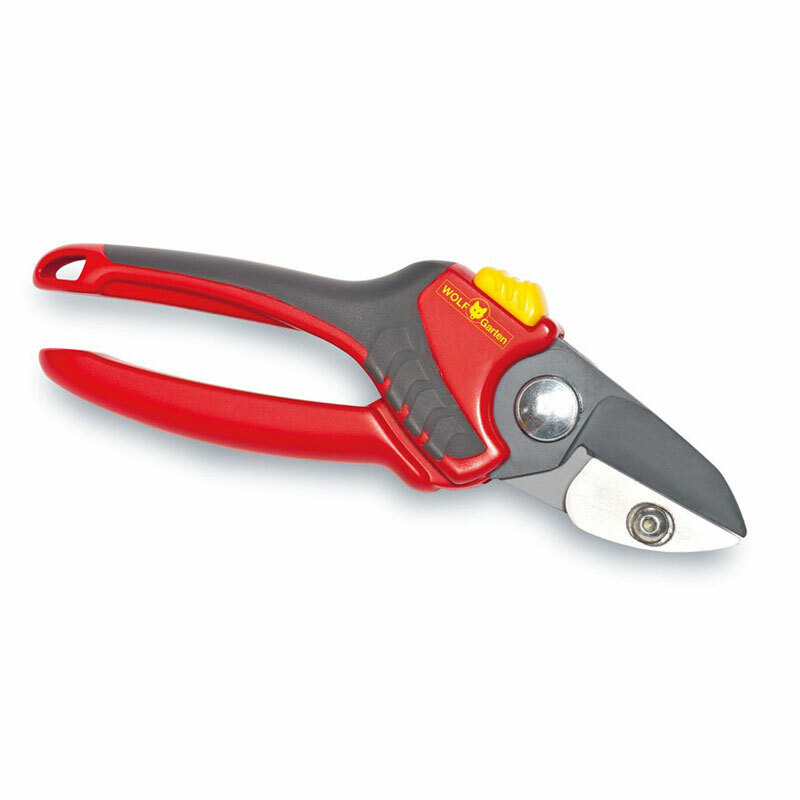 Wolf has cleverly positioned the vital 'Spring' internally on these Secateurs to reduce the risk of coil damage. Designed for a long operational life, so to extend the use of these high quality premium secateurs, the anvil (cast zinc) blade can also be replaced should this ever be required. Wolf tools represent high quality engineering and supplied with a 10 Year Guarantee. 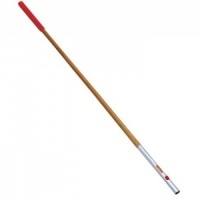 Wolf-Garten gardening tool collection offers the total gardening solution for all aspects of lawn care, soil and cultivation, tree and shrub care and general garden maintenance. Wolf premium quality garden hand tools are distributed by a British Company with over 90-years trading experience. The Wolf-Garten philosophy is to provide gardening tools and machinery of premium quality and performance that help make gardening easier and more enjoyable. All Wolf products undergo rigorous quality testing from the innovative multi-change® range to the electric lawnmower range, and every tool in the range is covered by a guarantee. Wolf-Garten Multi-Change® exchangeable tool head & handle system offers a choice of 14 handles and over 60 tool heads, ensuring there is a tool for every gardening task. specifically designed to be lightweight and comfortable to use. Each tool in the collection has its own features that make the tool work harder and longer. View this video of the multi-change® collection of garden tools and see why this range of garden tools are so popular.